Preparing to travel is an event that relies upon proper application of the 7 P's to ensure success.. Lists become critical. There are lists of things to take, lists of actions to accomplish, lists of appliances to turn off before leaving the house. What are we doing with the dog and the cats? And then there is loading the car! Or, packing the suitcases. Did I remember the pillows? I wish I could just have a "ready bag" sitting in a closet somewhere that could just grab and go. It would reduce the packing part of the preparation. 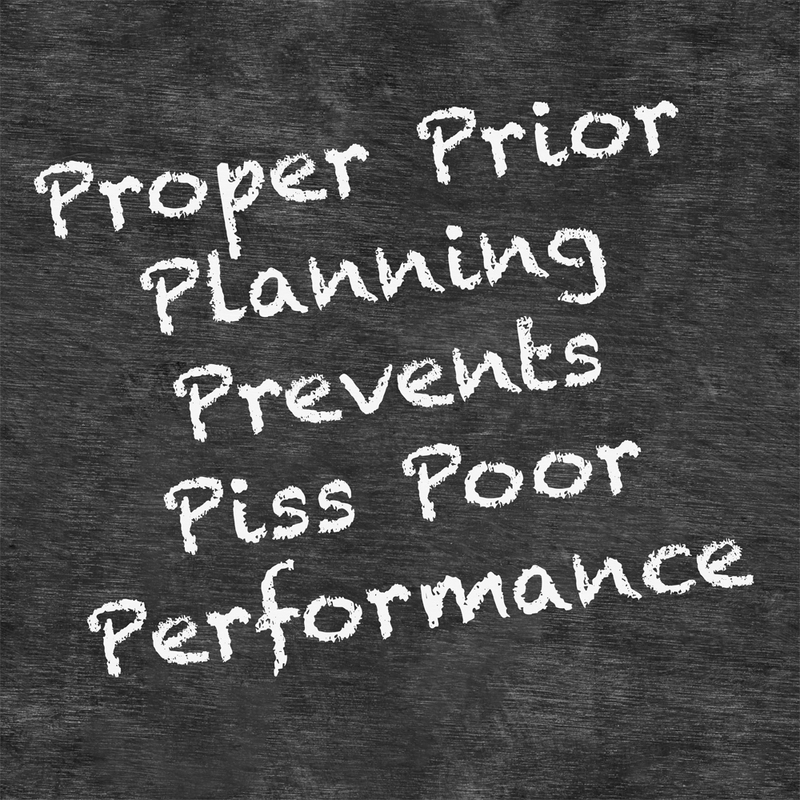 Buy as the phrase correctly says, proper prior planing prevents piss poor performance! Some have apparently tried to gentrify the 7P's of life, but it loses something in the translation. 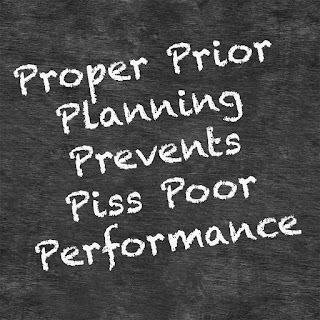 When preparing for a trip, all seven of the planning "P's" come into play. 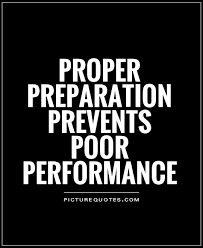 The worst part is the poor performance if proper prior planning is not accomplished. I hate getting lost along the way or arriving at my destination to discover that something critical has been forgotten. And so, in addition to dreaming of palm trees in the sand, I am running checklists through my head to ensure success and most of all, happiness at the conclusion of the adventure! Wait, don't forget the chargers for the electronics!